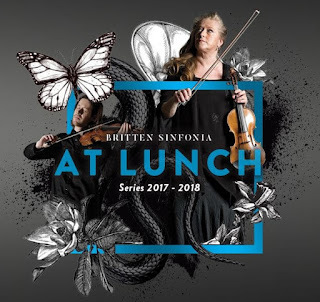 The Britten Sinfonia starts its 2018 At Lunch series with the premiere of a new work for piano trio and recorded voices which will be performed at West Road Concert Hall (23 January 2018), Wigmore Hall (24 January 2018) and St Andrew's Hall, Norwich (26 January 2018). Five Loops for the Bathyscaphe is Leo Chadburn's evocation of a journey to the deepest part of the ocean, the Mariana Trench, made by oceanographers Jacques Piccard and Don Walsh on 23rd January 1960, with a five-hour descent in the Bathyscaphe Trieste. Chadburn combines his own music, 'intended to give the impression of near stasis, analogous to the emptiness of the deep, dark ocean' whilst 'the recorded voices act as timekeepers, speaking numbers, fragments of scientific text and lines derived from Piccard’s poetic recollection of the experience'. The work will be performed by Jacqueline Shave (violin); Caroline Dearnley (cello) and Huw Watkins (piano), with the recorded voices of Chadburn and Gemma Saunders, in a programme alongside Biber’s Anunciation Sonata, Mozart’s Piano Trio in B flat, Arvo Pärt’s Spiegel im Spiegel and Philip Glass’s Orbit. Further information from the Britten Sinfonia website.